Our Vision is to produce and supply consumers worldwide with premium quality, naturally healthy Tahini – nutritionally rich and delicious- suited to the requirements of a balanced and healthy diet. 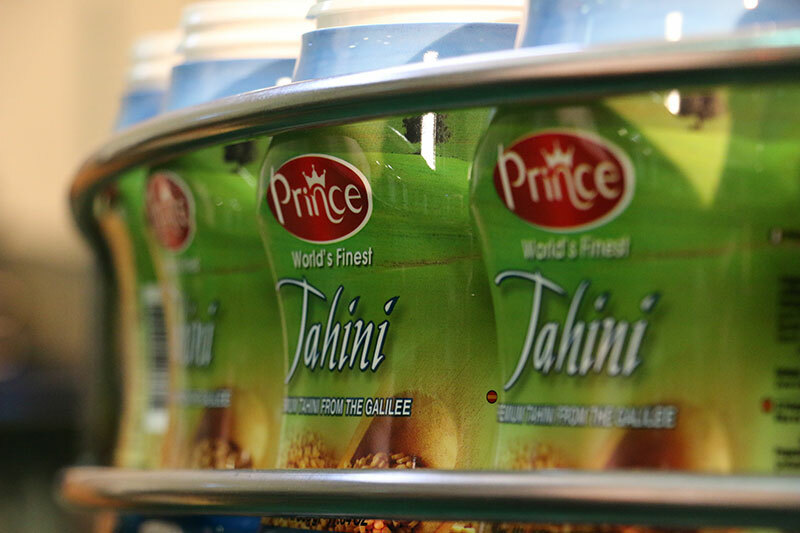 PRINCE TAHINA Ltd. is the largest Tahini manufacturer in the Middle East. Established in 1988 it focuses on the sole production of PREMIUM QUALITY Tahini paste. The Tannus brothers, Afif and Isa established a family run manufacturing plant employing traditional production techniques which has since rapidly grown, as demand for its product increased steadily, making it amongst the leading tahini producers in the world. Employing innovative, advanced technology and machinery combined with extensive R&D, the Tannus brothers are committed to retaining the UNIQUE TASTE, RICH AROMA and SMOOTH CONSISTENCY of natural, traditional tahini, remembered and loved from home. The brand name PRINCE TAHINA reflects their pride in the quality and distinctiveness of their products. PRINCE TAHINA Ltd. now manufactures a selection of Tahini products (Organic Tahini, Tahini Paste), distinguished for their wonderful flavor, rich nutrients, creamy consistency and uncompromising quality and purity.